Jan. 30, 2019, Update: Dr. Carla C. Johnson will begin as executive director of the Friday Institute and associate dean at the NC State College of Education May 1. RALEIGH, N.C. — Dr. Carla C. Johnson will be the executive director of the William and Ida Friday Institute for Educational Innovation at the NC State College of Education, where she will also serve as an associate dean, beginning July 1, 2019. She is currently a special advisor to the dean of the Purdue Polytechnic Institute on P16 STEM, executive director of Indiana GEAR UP and professor of science education at Purdue University. Education: Doctor of Education in Science Education, University of Cincinnati; Master of Education in Instructional Design and Technology, University of Cincinnati; Bachelor of Science in Education: Interdisciplinary Science and Social Studies with Minors in Physics and Biology, Eastern Kentucky University. Experience: Special Advisor to the Dean of the Purdue Polytechnic Institute on P16STEM, Executive Director of Indiana GEAR UP and Professor of Science Education, Purdue University (2016-present); Provost Fellow for P12 STEM Education and Professor of Science Education (2016-17); Associate Dean for Research, Engagement, and Global Affairs, College of Education, Purdue University (2014-17); Associate Director of the Center for Advancing the Teaching & Learning of STEM (CATALYST), Professor of Science Education, and Lead for the College of Education Strategic Partnerships, Purdue University (2013-14); STEM Research Affiliate, Tennessee Consortium on Research, Evaluation, and Development, Vanderbilt University (2011-14); Director of Engagement and Professor of Science Education, College of Education, Criminal Justice, and Human Services, University of Cincinnati (2012-13); Chair and Associate Professor, Curriculum and Instruction, College of Education, Criminal Justice, and Human Services, University of Cincinnati (2010-12); Founding Director, FUSION STEM Center and Associate Professor, College of Education, Criminal Justice, and Human Services, University of Cincinnati (2008-10); Founding Director and Associate Professor, CATALyST STEM Center, Judith Herb College of Education, University of Toledo (2005-08); Secondary Science Education Chair and Assistant PRofessor, College of Education, Utah State University (2004-05); and Assistant Professor, Master of Arts in Teaching Program, College of Education, Northern Kentucky University (2002-04). As the executive director of the Friday Institute and an associate dean, Johnson will provide strategic direction and leadership for the institute, including expanding and sustaining its success and operation in North Carolina and beyond in close alliance with the College of Education. In her current position, Johnson provides guidance on initiatives within the P16 STEM areas to the Purdue Polytechnic Institute’s dean. In addition, as a professor of science education, she serves as the director of research for the U.S. Army Educational Outreach Program, which operates STEM programs to inspire children and youth to pursue STEM careers. She is also the executive director of Indiana’s GEAR UP (Gaining Early Awareness and Readiness for Undergraduate Programs), which is designed to increase the number of K-12 students prepared for postsecondary education. Since joining Purdue in 2013, Johnson has also served there as the College of Education’s associate dean for research, engagement and global affairs and the college’s lead for strategic partnerships. 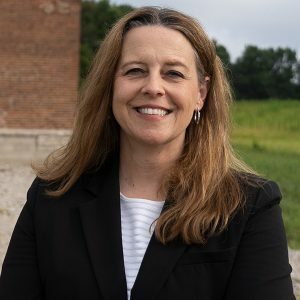 In these various roles, she has worked collaboratively with others to develop and implement a strategy for coordinating campus-wide P12 STEM initiatives and has provided leadership for developing and implementing all cross-campus and external partnership efforts within and outside of Indiana. Before joining Purdue, Johnson held research, academic and leadership positions with the University of Cincinnati, the University of Toledo, Utah State University, Northern Kentucky University and Vanderbilt University. Throughout her career, she has been the principal investigator or co-PI on 36 research grants and contracts totaling over $48.8 million, and she has authored or co-authored over 300 journal articles, books, book chapters and research reports. These publications include completing 32 books for the STEM Road Map project in partnership with the National Science Teachers Association. A book focused on policy and advocacy for STEM education for all children that she co-authored with astronaut Buzz Aldrin — Investing in Our Future: Preparing the Next Generation for the Innovation Age — will be published in 2020 by Purdue University Press. Johnson earned her doctorate and master’s degrees from the University of Cincinnati and her bachelor’s from Eastern Kentucky University. 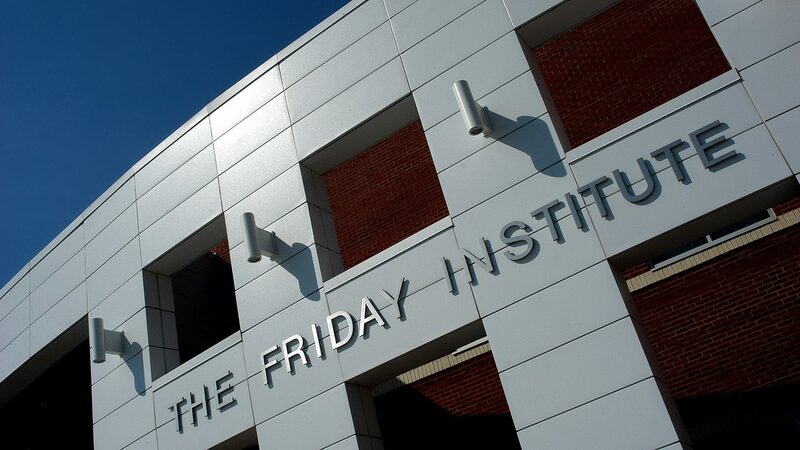 Founded in 2005 as part of the NC State College of Education and located on NC State’s Centennial Campus adjacent to the Centennial Campus Middle School, the William and Ida Friday Institute for Educational Innovation advances K-12 education through innovation in teaching, learning and leadership by bringing together educational professionals, researchers, policy-makers and other community members. In addition to fostering collaborations to improve education, Friday Institute scholars and staff conduct rigorous and objective research and evaluation, develop educational resources, provide professional development programs for educators and help inform decision-making and policy related to educational matters. Over 100 faculty, staff and graduate students at the Friday Institute work across projects teams supported by over $17 million in grants, contracts, state funding and gifts. Examples of Friday Institute initiatives over the last decade include: helping to develop North Carolina’s $400 million Race to the Top initiative and leading its evaluation; developing and leading the North Carolina K-12 Digital Learning Plan, North Carolina Digital Learning Initiative and the North Carolina Computer Science for All initiative; and developing and administering a suite of Massive Open Online Courses for Educators (MOOC-Eds) that have reached 35,000-plus educators in over 90 countries.